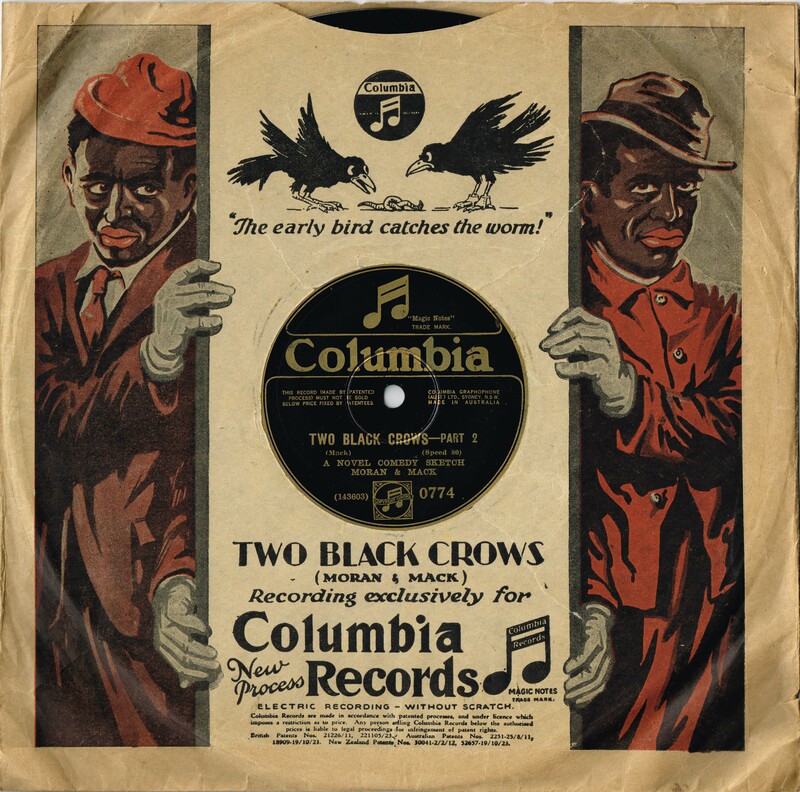 Black face comedians Moran & Mack parodying African-American vernacular in their hugely popular ‘Two Black Crows’ series from 1926 – 1929. Extract from ‘Two Black Crows In The A.E.F.’, by Charles E. Mack (1928). -Ngarrindjeri woman D Leila Rankine reminiscing about her experiences growing up on the Point McLeay mission on Lake Alexandrina, South Australia. Special 10-inch Australian Columbia record sleeve for ‘The Two Black Crows’ c. 1928. From the collection of Douglas Paisley. Australasian Phonograph Monthly & Music Trade Review, February 20, 1928. Recorded in New York on 14/3/1927. From the collection of Douglas Paisley. Australasian Phonograph Monthly & Music Trade Review, October 20, 1927. Australasian Phonograph Monthly & Music Trade Review, January 20, 1928. Recorded in New York on 7/11/1927. From the collection of Douglas Paisley. Australasian Phonograph Monthly & Music Trade Review, June 20, 1928. Recorded in New York on 18/9/1928. From the collection of Douglas Paisley. Title page of Charles E. Mack’s ‘Two Black Crows in the A.E.F.’ First published in 1928.